I’m Diana Rendina, and I’m a media specialist/teacher librarian at Tampa Preparatory School, an independent 6-12 school in Tampa, Florida. I was previously the media specialist at Stewart Middle Magnet School (also in Tampa) from 2010-2017. I’ve lived in Tampa my whole life. I’m actually the third generation of my family to work in Hillsborough County Public Schools. Before working in education, I worked for Hillsborough County Public Libraries. I’ve seen the library world from both the public and the school side of things. I’ve always considered myself a creative person and have long been into crafting, but I never really saw myself as a science person. As fate would have it, my first school ended up being a STEM magnet school. The year I started, my school cut out art classes, which was extremely disappointing for me. I quickly began to see the need to create hands-on STEM learning experiences in our library. We needed activities that could also satisfy my students’ needs for creative expression. Then I discovered the Maker Movement and started reading everything I could get my hands-on about makerspace. Finally, in January 2014, the Stewart Makerspace as born. I’ve since worked to transform both my libraries, both in redesigning the physical learning space and through a cultivation of a participatory learning environment and culture. I’ve shared about my work here on this blog and through writing and presenting all over the place. I love what I do and I’m passionate about helping other educators to bring creative, hands-on STEM learning experiences to their schools through makerspaces. I’m also the proud author of two books. Challenge-Based Learning in the School Library Makerspace is a book that I co-wrote with Colleen Graves and Aaron Graves. In this book, we dive deep into design challenges, design thinking, and more. We talk about creating a maker culture in your school, connecting with other makers in your community and connecting to the curriculum through makerspace projects. It’s available on Amazon and other online retailers now. Reimagining Library Spaces: Transform Your Space on Any Budget, is my library learning space design book that I wrote for ISTE. This book is a practical guide to transforming your library. It’s based off of my writings and eCourses related to library space design. I offer an overview of different learning space design theories as well as lots of practical exercises for brainstorming changes to your space. Five different library spaces are featured throughout the book to give you lots of ideas and inspiration. It is available from ISTE and from Amazon. I originally started this as a library blog to share with my students. 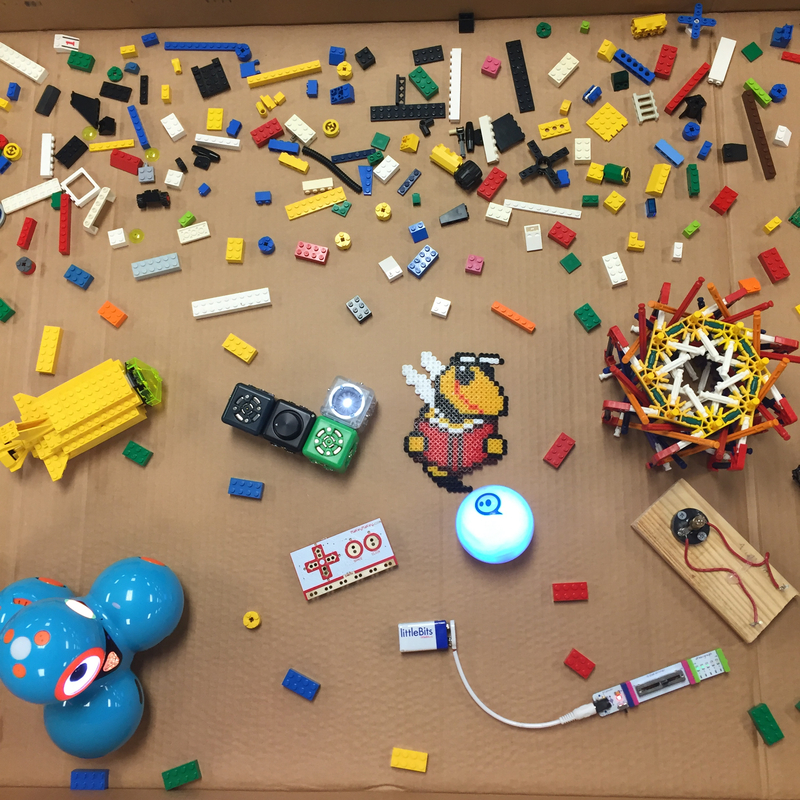 That gradually morphed and shifted as I discovered the Maker Movement in 2014. I’ve always been a crafter and I saw Makerspaces as the perfect merging of my passion for creativity with my desire to create STEM learning spaces. I initially started the blog as Intarsia for Technicals (a play on a knitting term). I documented my journey of creating a Makerspace, including lessons learned and reflections along the way. Eventually, I chose to change the name to Renovated Learning. This name reflects that this blog is about rethinking, remaking, and renovating learning and how we create learning experiences as educators. Send me an e-mail and we’ll start working out the details. Come say “hi” on social media! Diana Rendina, MLIS, is a media specialist at Tampa Preparatory School, an independent 6-12 school. She previously worked at Stewart Middle Magnet School in Tampa, FL from 2010-2017. She is the creator of the blog RenovatedLearning.com and was a monthly contributor to AASL Knowledge Quest from 2015-2018. Diana participates actively in the International Society for Technology in Education Librarians Network, the American Association of School Librarians and the Florida Association for Media in Education. She served on the Sunshine State Young Readers Award Committee from 2012 to 2015. Diana is the winner of the 2016 ISTE Outstanding Young Educator Award and the 2015 ISTE Librarians Network Award. She also received the 2015 AASL Frances Henne Award for emerging leaders and the 2015 School Library Journal Build Something Bold Award. She has presented on the Maker Movement at state, national and international conferences, including AASL, FETC and ISTE. Diana shares resources regularly on Twitter, Pinterest and Instagram. She co-authored Challenge-Based Learning in the School Library Makerspace and is also the author of Reimagining Library Spaces. Want to know more about Diana’s publications, presentations, etc? Check out her portfolio.